Tulia Rural Health Clinic opened in 1994. 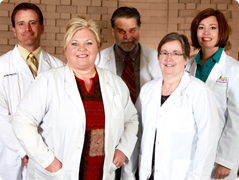 The Clinic has three Physicians, a Physican Assistant, and Nurse Practitioner. All are Board Certified. The Clinic hours of operation are Monday - Thursday, 8 am - 6 pm, Friday, 8 am - 5 pm and Saturday, 8 am - 1 pm. The Clinic accepts appointments and sees all walk-ins. Our mission is to provide superior health care services to the communities we serve.